Our school garden continues to flourish as September has brought a return of more typical hot weather. We have some new visitors as well. The teachers discovered four beautiful caterpillars on the carrot plants. Many of the Primary students have had time to observe them on the stalks and their questions have been wonderful! 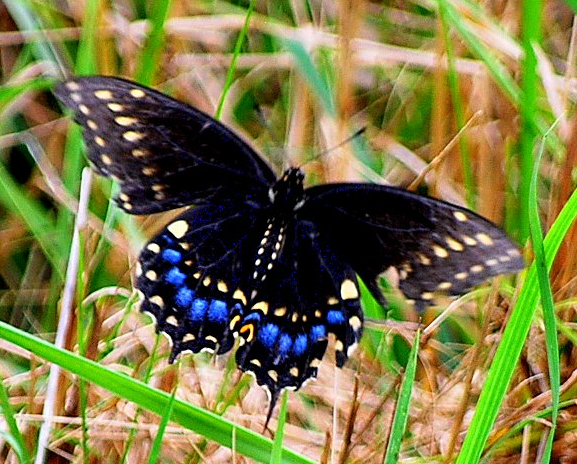 The Elementary students worked to identify the species and the results are in… Black Swallowtails! 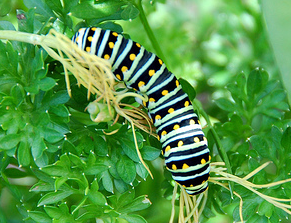 Here is a description of their lifecycle, and here is a site dedicated to helping families raise the Black Swallowtail caterpillars into butterflies! In the meantime, if you would like to encourage butterflies around your home, consider planting eastern redbud trees, switchgrass, and native azaleas. For more suggestions, see this list from the University of Virginia’s Blandy Experimental Farm.